2017-12-08T13:23Z | by Jan K.
Roulette is one of the most popular casino games in the world. That means, apart from other things, there is a huge amount of content about this game online. Some of the content is legitimate and presents things as they really are. However, there is a plethora of websites that try to mislead people and get them to play roulette thinking they are actually going to win money in the long run. Unfortunately, that is not possible. It’s impossible to "beat" properly working roulette in the long run, and to keep winning money from the casino. The inability to beat roulette is deeply embedded in the mathematical and statistical fundamentals of the game. I will get deeper into this later on. Keep reading this article to find out why roulette is impossible to beat, and why the often-presented roulette strategies that promise consistent winnings simply don’t work. I hope to let you know which strategies to avoid and why, so that you don’t get fooled by the very tempting but often misleading information that can be found online. Of course, it’s possible to win money playing roulette. You just have to be a little lucky to walk out of a casino with more money that you came in with. However, in this article, I will talk about winning in the long term, in which the luck factor cancels out and you are left with pure mathematics and statistics. I consider the strategies in this article fraudulent, because they often promise players big and consistent winnings, which is a promise they simply can’t keep. However, you can still use some strategies to play roulette as efficiently as possible, and actually maximize your chances of leaving the casino with a win. Read about them in my article on roulette strategies that work. I would like to start by explaining why every bet placed on the roulette table causes the player to lose money in the long run. As I already mentioned, this is connected to roulette odds, and to how the game works mathematically. This information is pretty basic, but I wanted to include it for people who just came into contact with roulette or gambling in general for the first time, because it’s these people who are the most susceptible to falling for the strategies I will talk about in this article. If you are already aware of the mathematics of roulette, feel free to skip to the next part of this article. Every casino game can be characterized by the so-called return to player (RTP), which describes the percentage of each placed bet returned back to the player, statistically. If a game had an RTP of 100%, the chances of winning or losing would be the same. However, casino games almost always (excluding some rare exceptions) have a lower RTP. Roulette is not an exception. The RTP of the European roulette is 97.3%, while the RTP of American roulette is 94.74%. That means that if a player bets $100, he statistically "wins" $97.30 in European roulette, or $94.74 in American roulette. As these winnings are lower than the original bets, it’s quite clear that the player statistically loses money on each roulette bet. The player statistically loses money on each roulette bet. That means that European roulette has a house edge of 2.7% and American roulette has a house edge of 5.26%. This means that for every $100 a player bets, the casino wins $2.70 in European roulette and $5.26 in American roulette in the long run. Feel free to read more about this in my article about roulette odds, which includes the RTP and the house edge of this game. 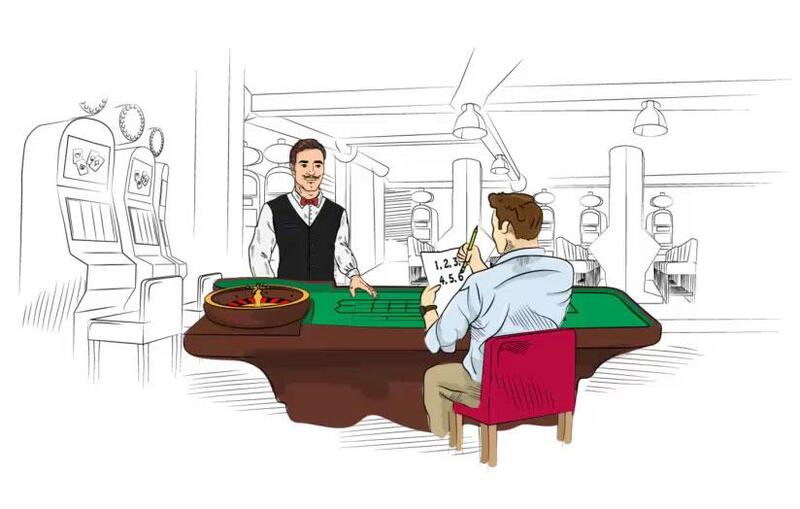 What you need to know for the purpose of understanding this article is that there is no way of beating roulette, because you statistically lose money with every single bet you place, regardless of the type of bet you make or how much you bet. There is simply no way around that. It’s finally time to get to the specific roulette strategies that actually don’t work, but are often presented as a surefire way to make money in a casino. Many websites present these strategies as a surefire way to make money online, because their only goal is to make you register at an online casino using their link, which makes them money. They don’t care about the fact that they are lying to their readers, and the scam strategies in this article can be very tempting at a first glance, especially when deceptive information is presented. That’s precisely why they are glorified by such a large number of websites, and why you should take the information about these strategies that can be found on other sites with a grain of salt. 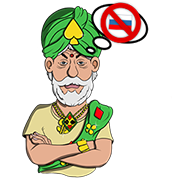 Full disclosure: The Casino.guru website also generates income by players registering in online casinos. However, we are always truthful, and we do everything we can to present information as objectively as possible. We try to educate people about gambling and help them choose the best casino to play in, if they decide they want to play casino games online. By far the most popular roulette scam strategy is Martingale (also known as the roulette double-up strategy). This strategy is also very simple, which might have helped its popularity, as pretty much anyone can use it without any research or studying. Note that Martingale is a betting strategy that can be used in more or less any casino game (with some limitations, of course). However, it’s most widely known in connection with roulette, and that’s why I’m including it in this article. This will be the case for more of the strategies you’ll find in this article. A player places an initial bet, let’s say $1, on any of the roulette even chance bets (red/black, even/odd, high/low). The bet on red/black color is used most often, but statistically it doesn’t make a difference which of these bets is chosen. If the player wins, he goes back to the first point and bets $1 again. If the player loses, he doubles his bet. This is repeated until the player wins. Subsequently, the player returns to the first point and bets $1 again. The Martingale strategy works in cycles. The length of the individual cycles varies, but each of them should result in the player winning $1 or losing everything. I’ll start with the winning cases and talk about the losing later on. The player bets $1 and wins $2. The net winnings are $1. The player bets $1 and loses. Then he bets $2 and wins $4. The player bet $3 in total and won $4. The net winnings are $1. The player bets $1 and loses. Subsequently he bets $2, $4, $8, $16, $32, $64, $128, $256 and loses all of these bets. Then the player bets $512 and wins. The total bets were $1023 and the player won $1024. The net winnings are $1. All of these cases were successful for the player, but as you can probably already tell, the last one was much worse than the first two. The player lost nine bets in a row, only winning the tenth one. That means that he had to bet $512 just to win $1 from the entire cycle. The rapidly increasing bet sizes are one of the main issues with the Martingale strategy. When using Martingale, it's quite easy to run out money, being unable to place the next bet. For the purposes of this article, I chose to have the initial bet in (almost) all strategies set to $1. Of course, in real world, the initial bet can be lower or higher, depending on the player’s bankroll and the limitations from the casino. There is a very nice logical explanation why Martingale should work. If you keep doubling your initial bet, the roulette ball must sooner or later land on a number which grants you a win. Right? Yes, that’s true. With the number of attempts approaching infinity, the probability of overall failure approaches 0. That means that with infinite resources and no limitations from the casino, you will eventually manage to win and finish a cycle with net winnings of $1. With infinite resources and no limitations from the casino, the entire system would work. However, as you have probably already guessed, these two conditions are never met in the real world. Let’s look deeper into these problems. In the real world, every single player has a limited bankroll. That means that if a player keeps using the Martingale strategy in the long run, he will eventually run out of money, making him/her unable to place another bet and finish a winning cycle. Let’s look at this closer using an example. Imagine a player with a bankroll of $1,000 using the Martingale strategy with an initial bet of $1. With $1,000 available, the player can afford to place these bets in succession: $1, $2, $4, $8, $16, $32, $64, $128, $256. The total sum of these bets is $511 which means that after losing all of them, the player will have only $489 left in his account, making him/her unable to place the next bet, which should be $512. Note that in this case, the player could continue by betting the entirety of the remaining bankroll, which is $489 in this case. If he wins, the bankroll would get back up to $978. That is lower than the starting bankroll, but the player could continue from this point by betting $1 again and continuing with the Martingale strategy. However, for the purposes of my calculations, I have decided to leave this fact out and consider the case described above a failure. On the other hand, in my simulations that you can find later in this article, I allow the simulated players to continue by betting their entire balance when they don’t have enough money to follow the bet sizes, as dictated by the Martingale strategy. Now, you might say that it’s really unlikely for this to happen. For this scenario to come true, the player must lose 9 bets in a row. At first glance, it might seem that this never happens, however, it does happen. And it happens more often than you might think. Yes, it’s a small number. However, this probability means that statistically, 1 of roughly 402 Martingale cycles will result in losing 9 bets in a row, causing the player to be unable to place another bet. Of course, after building their bankroll to at least $1023, the player can afford to lose 9 bets in a row, because he will have enough money to place the 10th bet of $512 after losing all of the previous bets. After this point, only 1 of roughly 784 cycles ends up causing the player to be unable to place another bet. The probability of losing one cycle with a sufficient bankroll is therefore pretty low. However, to consistently win money using the Martingale strategy, you have to repeat the entire process thousands of times, which means that sooner or later you will lose your entire bankroll. The simulations of the Martingale strategy that you will find later on in this article demonstrate this fact perfectly. Apart from the issues with the bankroll, the Martingale strategy is also limited by the bet sizes allowed by the casino you are playing in. Of course, the minimum and maximum table limits differ across different casinos and games, but generally speaking, the maximum allowed bet is generally only a few hundred times higher than the minimum bet. When playing in online casinos, you can generally use multiple online roulette games with different table limits to overcome these limitations. This isn’t very practical, but it can be used to lower the impact of bet size limitations on the effectiveness of the Martingale strategy. And, even if you use multiple roulette tables to get around the bet size limits, your maximum bet size would still be limited. So, even if you had infinite bankroll (which means that you wouldn’t be affected by the aforementioned problem #1), you would still be limited by the maximum allowed roulette bet you can find. So, with a goal of winning $100, you would succeed with a probability of 88%. In the remaining 12% of cases, you would end up losing a significant portion of your bankroll and being unable to place another bet. With a goal of $200, your chance of reaching this would be 77.5%, with a goal of winning $500 it would be 52.8% and with a goal of winning $1,000 it would be 27.9%. As you can see, the probability of ending up winning decreases with higher targeted wins, which is, of course, logical. Problem #3 with the Martingale strategy lays in the fact that it tends to work at first, which causes players to become overconfident, thinking that the strategy will keep working forever. Unfortunately, that’s not the case. If they keep using the Martingale strategy long enough, they will eventually lose the entire bankroll. If the players were able to recognize the right time to leave the casino, most of them would end up with a profit. However, there is no optimal time to stop playing, because there is no way of knowing when a losing streak is going to come. Additionally, there is no guarantee that the player won’t lose everything in the first cycle of the Martingale strategy. The Martingale strategy is in many ways similar to betting on a strong favorite in a football match. The probability of losing one bet is not very likely, but you have to repeat it many times and wager a lot of money to achieve substantial profits. You will probably manage to be in the green at first, but sooner or later, the favorite will lose and your bankroll will be gone. Similar progressions happen with the Martingale strategy. Each player started with a bankroll of $1000 and the initial bet was $1. The simulations stop either after 10,000 roulette spins or when the players lose their entire bankroll. The players followed the Martingale strategy and placed their bets accordingly. If the players didn’t have enough money left to place the next bet, they wagered their entire remaining balance. If they lost this bet, their run is over. If they win, they continue according to the Martingale strategy and bet $1 in the next spin. I created the simulations using my own simulation software, which uses a RNG (Random Number Generator) to determine the outcome of the spin. This is true for all of the simulations in this article. In roulette, the random numbers are generated by the roulette wheel itself, but the results are statistically the same. Player #1 was doing quite well at first and managed to build his bankroll over $1500, with only one longer losing streak. However, he then lost 11 rounds in a row, which took his bankroll from $1540 all the way to $0. Player #2 had it the worst. It only took him 51 spins to lose the entire bankroll. This is quite a rare occurrence, but it clearly shows that the things can go south right from the beginning. Player #3 managed to lose the entire bankroll in 417 rounds. They encountered one longer losing streak, from which he recovered, only to be hit by 11 losing spins in a row shortly after. Player #4 almost lost everything in his 193th spin, after which he had only $70 left. Then he started slowly recovering his bankroll, but only made it to $477. Then he encountered another losing streak which brought him to $0. Player #5 had by far the best run, but still didn’t manage to walk away with any money. He managed to get to $3308. After that, he lost 12 spins in a row and was left with nothing. This goes to show that the Martingale strategy really doesn’t work in the long run. All of the players were slowly climbing up, but experienced a brutal losing streak that resulted in losing everything. This goes to show that the long losing streaks, although they seem really unlikely, are quite common in reality. The Fibonacci roulette strategy is in many ways similar to the Martingale roulette strategy, but there are some differences between them. I will focus mostly on the ways in which these two strategies differ. You might have noticed (or you already knew) that each of the numbers in this sequence is a sum of two previous numbers. This quality of the sequence is used in the strategy, although it may not be noticeable at first. The player starts by betting an amount corresponding to the first number in the sequence. Every time he loses, he moves to the next number in the sequence and bets a corresponding amount. Every time he wins, he moves two numbers backwards. If the player reaches the beginning of the sequence, he just keeps betting an amount corresponding to the first number until he loses; then he continues accordingly. Please note that all of the bets used in the Fibonacci strategy are even chance bets. That means that the player can choose to bet on red/black, even/odd or high/low, just like when using the Martingale strategy. This strategy is not as easy to follow as the Martingale strategy. Here are some examples that might help you understand how it works. The player bets $1 and wins. The cycle is completed and he starts again from the start of the sequence. The player bets $1 and loses. Then, he bets $1 again (but this bet is corresponding to the second number in the sequence, not the first one – that’s important) and wins. He is supposed to move two numbers backwards, but there is only one number (1), so he moves to it and proceeds by betting $1 again. If he wins, he completed a cycle and starts again from the start. The player bets $1 and loses. Then, he proceeds to subsequently place bets of $1, $2, $3, $5, $8, $13, $21, $34 and loses all of them. Then, he places a bet of $55 and finally wins. That means he goes back to a bet of $21 and continues accordingly. The sequence doesn’t have to start with "1 – 1 – …" for this to work. You can basically start with any two numbers. The only important thing is that each number in the sequence must be a sum of the two previous numbers. There is a big difference between the Martingale and the Fibonacci roulette strategy. In Martingale, a one winning bet is sufficient to complete a winning cycle. On the other hand, in the Fibonacci strategy, the player completes a winning cycle only when he manages to move his way back to the beginning of the sequence and win the bet corresponding to its first number. In other words, one win is not enough to reverse a series of losses. That means that the Fibonacci strategy needs a bigger number of roulette spins to achieve the same winnings when compared to Martingale. However, it also means that the Fibonacci strategy is less risky. The simulations of the Fibonacci strategy were done in practically the same way as the simulations of the Martingale strategy. The only difference was the strategy the 5 simulated players were using. The graphs are growing at a slightly lower rate. This is consistent with the fact that the Fibonacci strategy is less risky and a bigger number of spins is required to achieve the same profit. The Fibonacci strategy graphs are more variable. With Martingale, the individual bankrolls keep growing roughly at the same rate, until they fall to zero. On the other hand, the bankrolls of players using the Fibonacci strategy change at a more variable rate, because one winning bet is not enough to break a series of losses. Player #1 was the first one to lose his entire bankroll. It took him 488 spins to lose it and at no point did he manage to get into a substantial profit. The highest he got was to $1074. At the end, 11 losing spins in a row brought him from $1067 to $0. Player #2 did better. It took him 2291 spins to lose the entire bankroll and his bankroll peaked at $1330, which he achieved 27 spins before running out of money. Out of the last 27 spins, he won only 4 and lost the remaining 23, which meant his bets kept getting bigger and he kept losing at a faster and faster pace. Player #3 got to play 4290 spins, but his bankroll never got higher than $1298, which is less than the peak of Player #2’s bankroll. This is because he almost lost everything earlier in his run, which meant that he had to go all in with just $122 in his 656th spin. He managed to win that round and slowly started recovering, but later on was met by a cold run which made him lose everything. Player #4 lost everything in 1272 spins. His bankroll peaked at $1175. He had to go all in with $145 in his 1176th spin and managed to win, but he lost it all within the following 100 spins. Player #5 had the best run. He got to play a whopping 7132 spins and his bankroll peaked at $2269. Unfortunately, he didn’t manage to get to the 10,000 spin mark, because he also experienced a cold streak that meant he lost everything. All in all, the Fibonacci strategy is in many ways similar to the Martingale strategy, but everything rises and falls at a slower rate. The bankroll rises more slowly, but the bet sizes also rise more slowly when you’re on a losing streak. That’s why the players got to play a bigger number of spins and, at the same time, their bankrolls peaked at lower amounts than when using the Martingale strategy, on average. Both Martingale and Fibonacci strategies work by increasing or decreasing the wagered amount depending on the result of the individual spins. The D’Alembert roulette betting system works similarly, but the differences in wagered amounts are much smaller. That’s why this strategy is much safer. The player decides on his initial bet and wagers it. Every time the player loses, he increases the wagered amount by 1 in the following spin. Every time the player wins, he decreases the wagered amount by 1 in the following spin. Let’s say the player picked an initial bet of $6 and starts betting. He bets $6 and loses. He bets $7 and loses. He bets $8 and wins. He bets $7 and loses. He bets $8 and wins. He bets $7 and wins. In total, the player made 6 bets, out of which he won 3 and lost 3. Even though he won the same number of bets he lost, he is in profit of $3 overall. That’s exactly how this strategy works. When a player using the D’Alembert roulette strategy wins the same number of spins than he loses, he will be in an overall profit defined by the number of roulette spins he won/lost. If he won 10 spins and lost 10 spins, he will be in a profit of $10, regardless of the size of the initial bet. This might sound good, because it seems really nice that an equal number of winning and losing spins is required to achieve profit. However, with the so called even chance bets, your chances of winning and losing aren’t 50:50 (despite their name). In fact, you will statistically win only 48.65% of your spins and lose the remaining 51.35% in European roulette. This difference is sufficient to make the D’Alembert strategy not profitable in the long run. The advantage of this betting system is the fact that it’s way less risky than Martingale and Fibonacci. Of course, there is still risk involved, but because the bets increase slowly during losing streaks, you don’t need such a big bankroll. You are less likely to lose your entire bankroll and you most likely won’t have problems with the roulette table maximum and minimum bets. On the other hand, the slow progression of bet sizes can be also a disadvantage. Firstly, you most likely won’t win a lot of money using this strategy, at least when factoring in your initial bet and the number of spins you have to play. Also, if you encounter a losing streak, you will find that it’s very hard to get back into the green. Actually, you need a comparable winning streak to do that. To compare it with other strategies, in Martingale you need just 1 winning spin to break the losing streak. In Fibonacci it’s more than that, but not as much as when using the D’Alembert system. When simulating the D’Alembert strategy, I realized that I couldn’t set the initial bet to $1, because the bets are supposed to get smaller when players are winning. If the initial bet was $1, there would be no space for the bets to get smaller. And, at the same time, I didn’t want to get much higher than that, so that the results are somewhat comparable. So, I decided to make the initial bet $5 for this strategy, and players also started with a bankroll of $1000. The players followed the D’Alembert strategy, and if they got to a bet of $1, they just kept betting $1 until they lost a spin and their bet got bigger. Player #1 managed to play 1480 spins before running out of money. His bankroll peaked at $1532. His bet sizes kept growing, which meant that the upswings and downswings were also getting bigger and bigger. The maximum bet he placed was $58 and the average wagered amount in one spin was roughly $23.40. Player #2 achieved the best results. He played 1971 spins in total and had a bankroll of $1824 at one point. However, he then encountered a huge downswing that brought him all the way to $0. His maximum bet was $62, but the average bet was only $16.75, because he was doing better than average, which is why his bets generally stayed pretty small. Player #3 only got to play 406 spins and was doing very poorly. He only won 184 out of his 406 spins (45.3%), which is quite significantly worse than the expected percentage of 48.65%. His bankroll peaked at only $1056. Player #4 also didn’t do very well. He played 563 spins in total and his bankroll peaked at $1172. His average bet was $14.70 and his maximum bet was $50. Player #5’s run was very similar to the one of Player #3. He played only 517 spins and never had more than $1086 in his bankroll. Out of the 517 spins, he won only 236 (45.7%). You might have noticed that I took a closer look at the bet sizes and the percentages of wins and losses for the D’Alembert strategy. That’s because this strategy is supposed to work in a way that players profit when they win the same number of spins they lose. However, it just doesn’t work that way in roulette. Altogether, the 5 players played 4937 spins, out of which they won in 2366 and lost in 2571. That means that the overall win percentage was only 47.9%. Because of higher number of losses than wins, the bet sizes generally kept growing. That also brings bigger downswings and upswings over time. The Labouchere roulette strategy is more complicated than other strategies I mentioned in this article. It requires you to keep track of your bets and add numbers together, which might require some practice. The player constructs a so called "betting line", that will determine the starting bet size, as well as the bet sizes of the following game rounds, at least to some degree. It’s completely up to the player what the line looks like. It can be simple like 1-1-1-1-1-1 or 1-2-3-4-5-6, or it can be more complex like 1-2-4-4-3-7. The player always takes one number from each end of the line and adds them together. Their sum determines the amount wagered in the given spin. If the player loses, he takes the sum of the two numbers he had just wagered and writes it down at the end of the line. Then he goes back to the point #2 and continues. If the player wins, he crosses both of the numbers he added together in the spin off the line. Then he goes back to the point #2 and continues. If the player runs out of the numbers in the betting line, he can start again from the beginning, or create a different betting line. I know this might sound a bit too complicated, so let’s use an example to clear it up. You will find it in the table below. When using the Labouchere strategy, your "goal" is to get rid of all of the numbers in your betting line. If you manage to do that, your profit will be equal to the sum of the numbers you started with, regardless of the number of wins and losses you got along the way. Labouchere Strategy might be a bit more difficult to use, especially in a land based casino. The math works quite nicely with this strategy, but you have to keep in mind that the chances are in favor of the casino. That means this strategy, of course, doesn’t make you magically beat roulette in the long run. The Labouchere strategy is somewhere between Fibonacci and D’Alembert in terms of riskiness. The math really works and you will be in profit if you manage to win at least as many spins as you lose. However, you already know that’s not very likely to happen in the long run. Also, if you encounter a losing streak, the numbers in your line will keep getting bigger and bigger. Your line will keep getting longer and you will have to wager more and more money. And what’s even worse, the bets will stay quite big even when you start winning. You will need a long winning streak to significantly decrease them. The simulations of the Labouchere strategy are quite complex, because they depend on the list of numbers that the players start with. For the simulations down below I decided to use this betting line: 1-2-3-4-5-6. Player #1 got to play 205 spins and his bankroll peaked at $1170. His maximum bet was $240 and the average bet was $44.65. He experienced one big downswing that he managed to recover from, but then ran out of money after another downswing. Player #2 played 227 spins in total and his maximum achieved bankroll was $1296. In terms of bet sizes, his maximum bet was $272 and the average amount he wagered in one spin was $28.48. Player #3 got to play 350 spins and his bankroll peaked at $1504. His maximum bet was $377 and the average bet was just shy of $27. His bankroll was growing quite steadily, but one big downswing caused him to lose the entire bankroll. Player #4 had a very interesting run. He got to play 996 roulette spins, which is a significantly higher number than all of the other players played. His bankroll peaked at $2881. This was because he won 52.1% of the rounds he played, which basically means he was really lucky. However, despite his unreal win rate, he still ended up with $0 after a huge downswing. Player #5 got to play only 157 rounds and his bankroll peaked at $1201. His maximum bet was $205 and his average bet was $31.57. The results of this simulation are quite interesting, especially the results of Player #4, who had a really great run. The simulations nicely show the main drawbacks of the Labouchere strategy – the increasing bet sizes that cause big upswings and downswings. This strategy (with an initial betting line 1-2-3-4-5-6) seems to be the riskiest one out of the four strategies in this article. The players’ bankrolls were increasing quite rapidly, but the players also managed to lose everything the fastest on average. This might, of course, be very different if I chose a different betting line for this simulation. 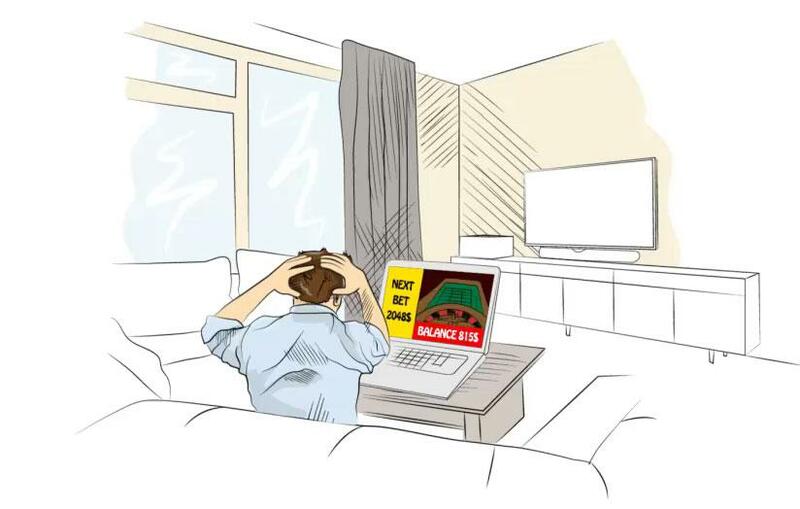 As you can see, all of the strategies I covered in this article have some fundamentals that make it seem like they might work, but they will eventually lead to you losing your entire bankroll. That’s why I don’t recommend using them. There are better strategies, which can maximize your chances of leaving the casino with a profit, or at least make sure that you have as much fun while playing as possible. Now, I am not saying they will enable you to maintain a profit in the long run, but they are the next best thing. If you are interested, read my article about roulette strategies that work.